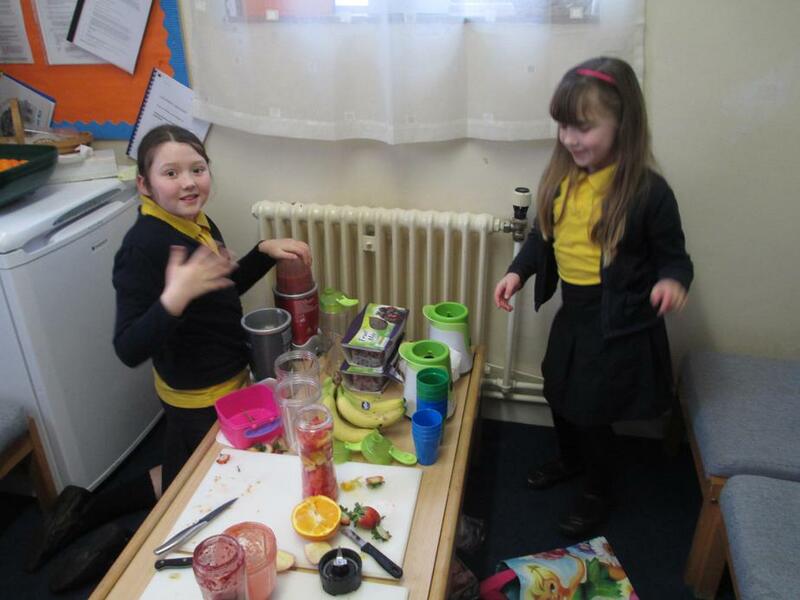 After evaluating smoothies currently on the market and then designing our own for our learning partners we made and evaluated them today. 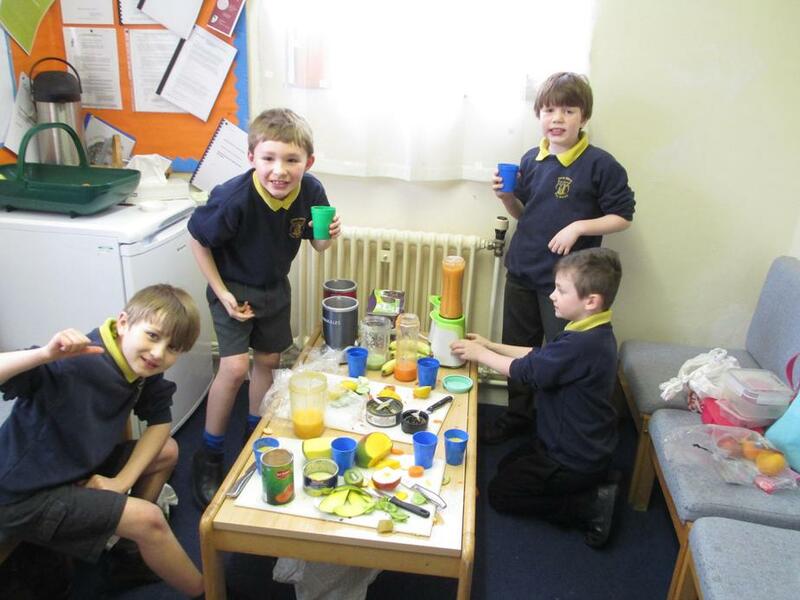 We had great fun making them in the staff room with Mrs Horwood who supervised. 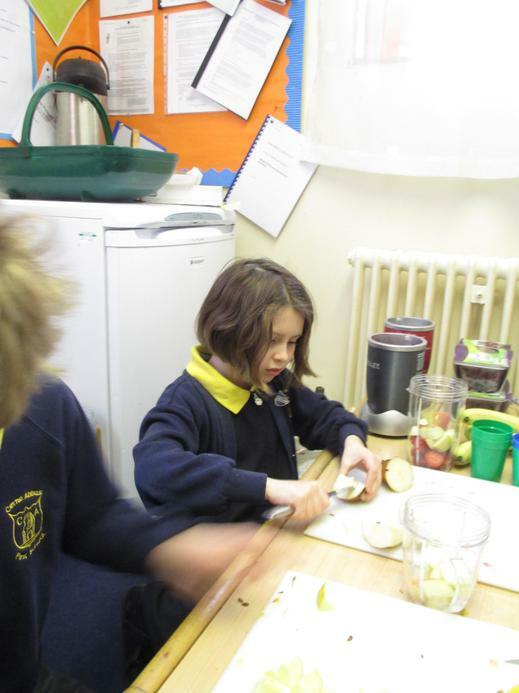 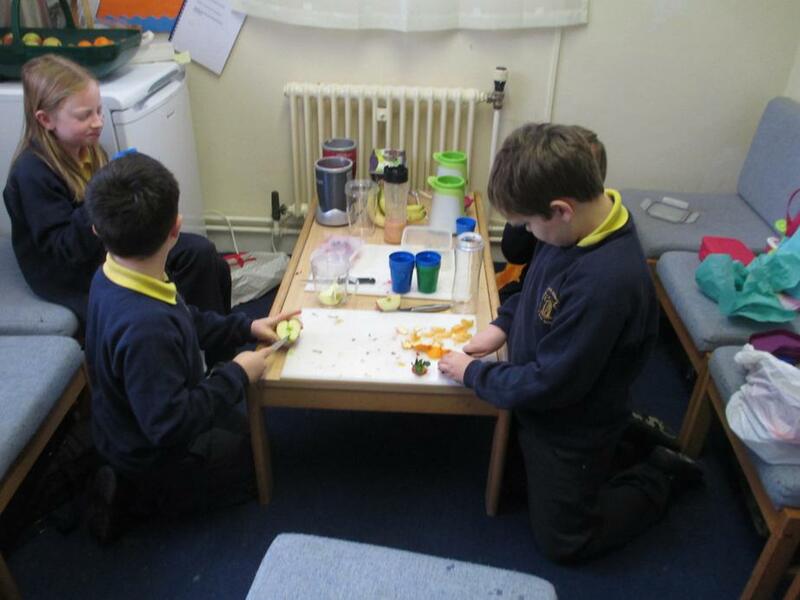 Some of us had to be really confident as we were worried about cutting our fruit up, but all of us had a go and managed to do so. 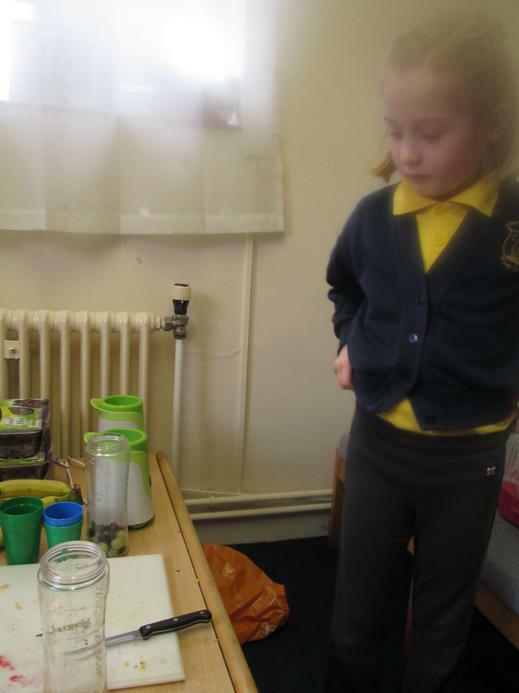 Tasting them was interesting; some of them were chewy, some were slimy, some were unexpectedly yummy (green pepper smoothie)! 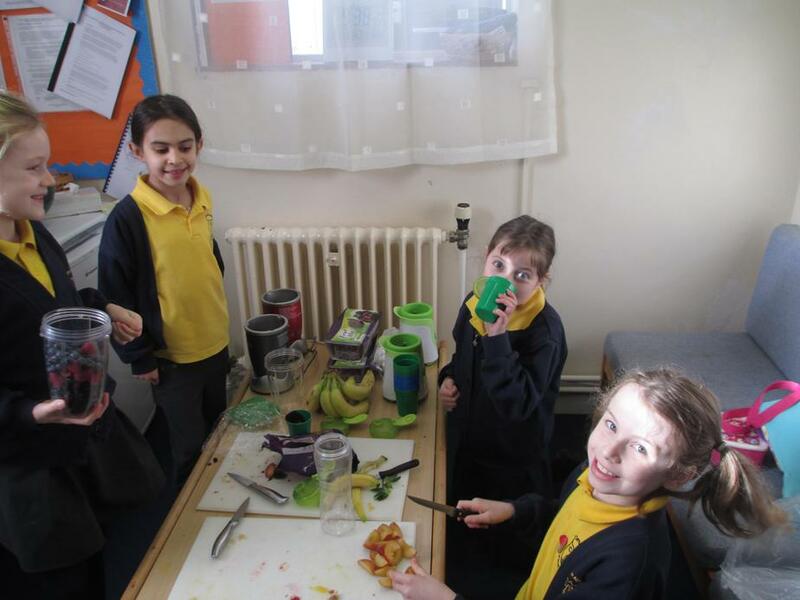 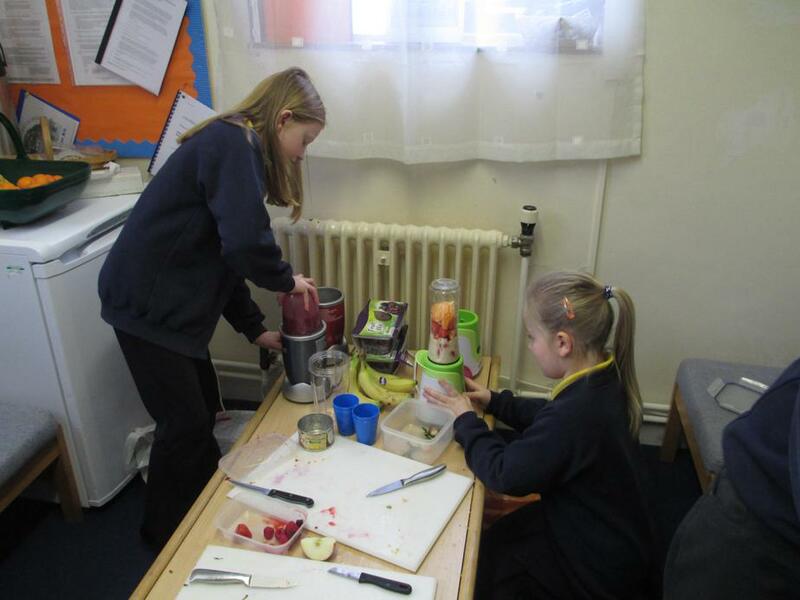 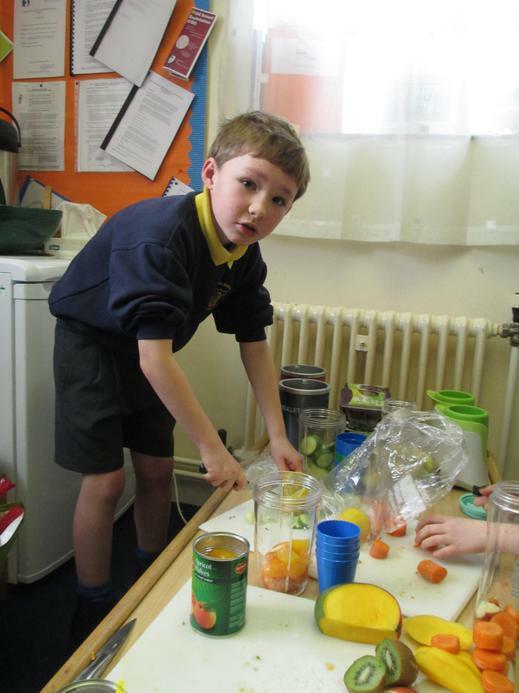 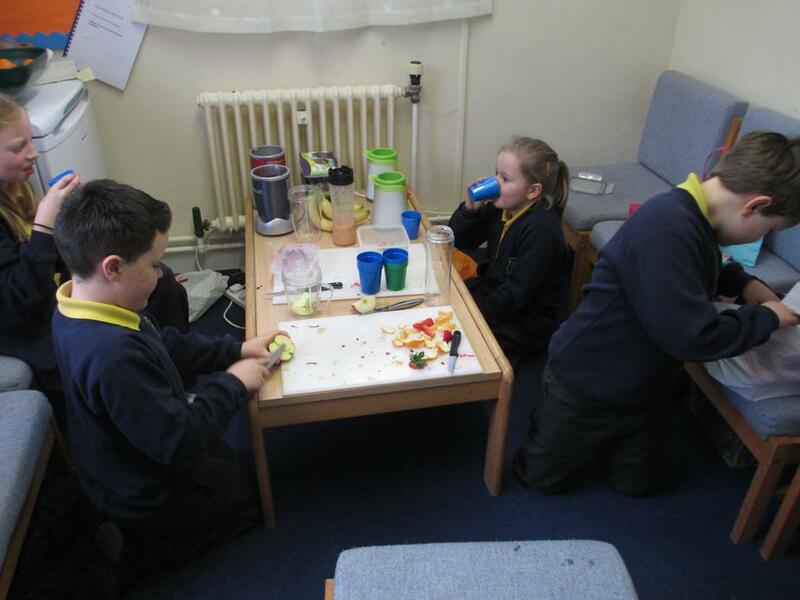 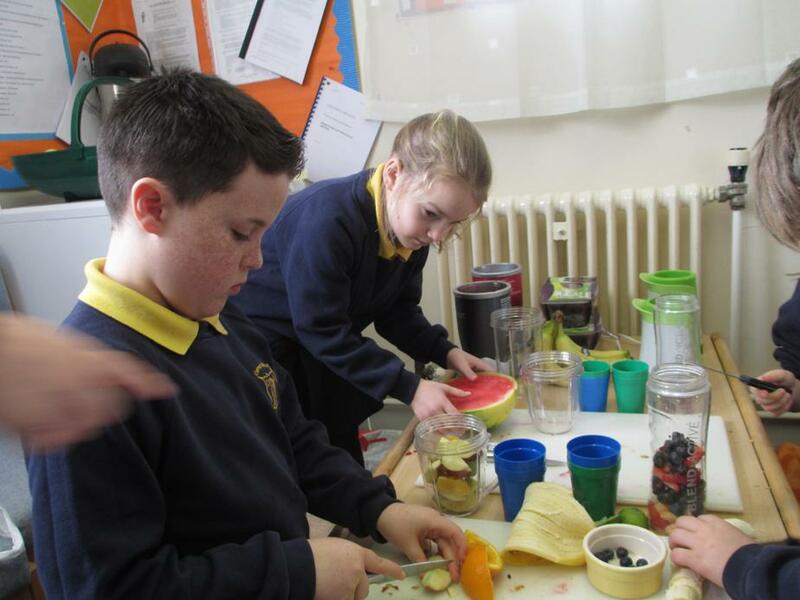 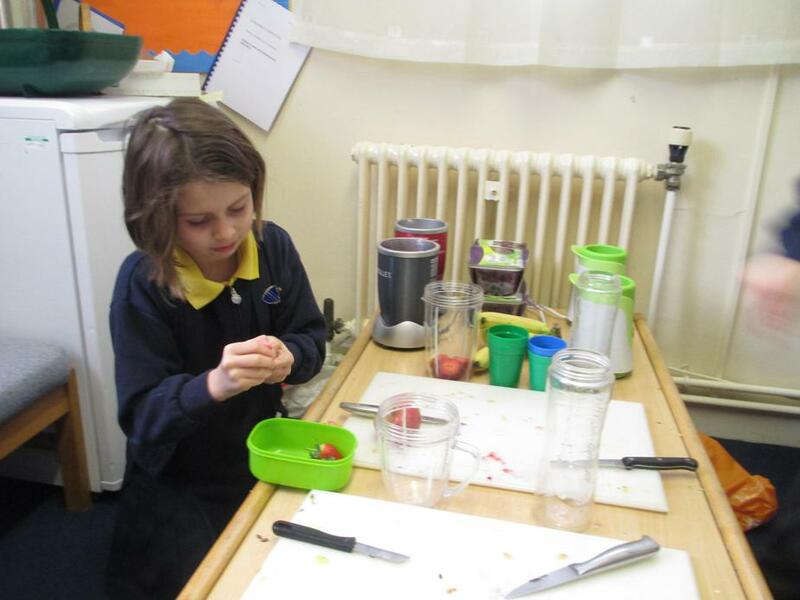 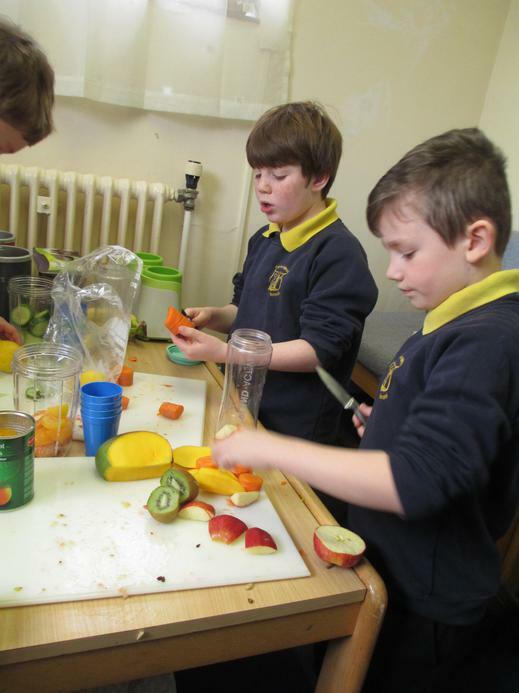 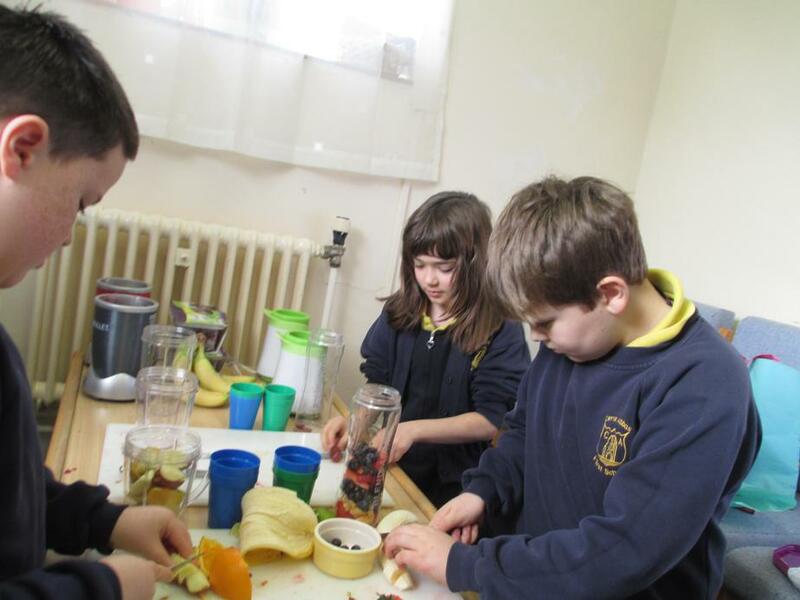 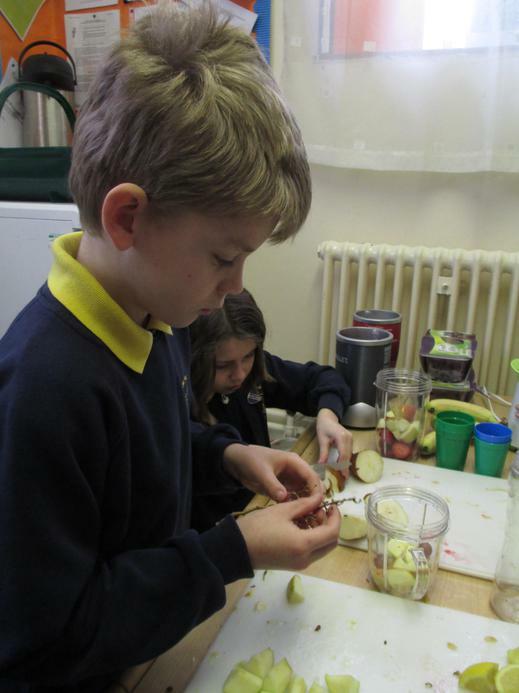 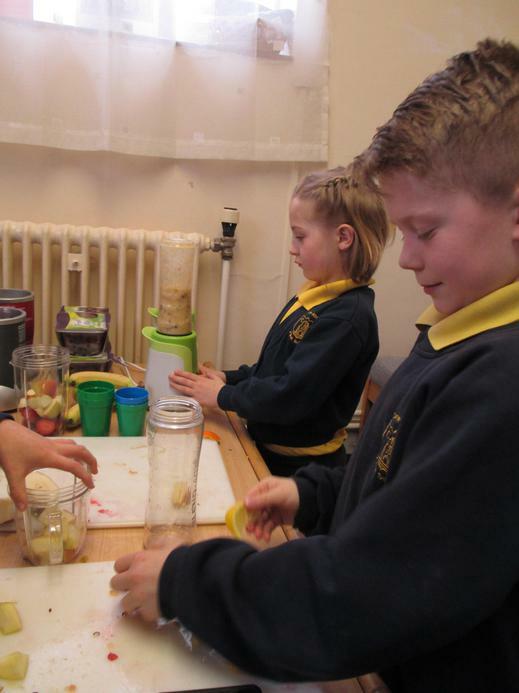 Thank you to all parents for buying the ingredients for us to make our smoothies, we were very grateful and could not have done this learning without your support.